awesomeness: Superman's new suit, a giant Underwear? So I just read on the interwebs about Superman's new suit in The Man of Steel. According to the the costume designers of the movie and the Director himself. 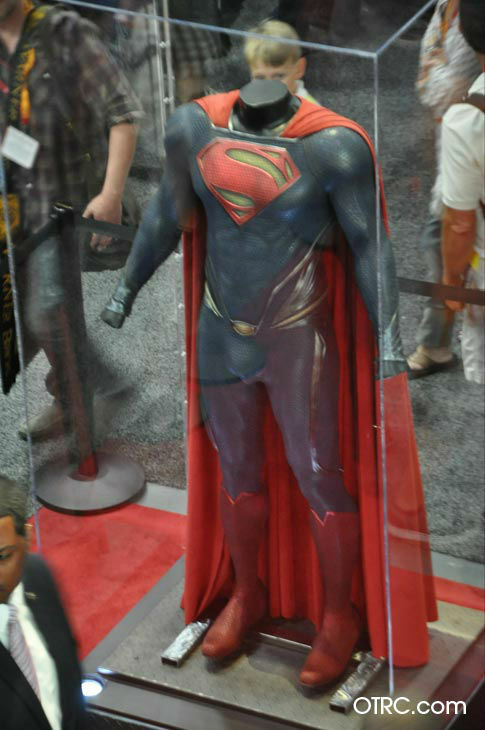 To re-imagine Superman's costume for 2013 meant that they would have to tweak the Kryptonian mythology that goes with it. Previously it was believed that Superman's suit was made from the cloth found in his spaceship, or the cloth he was wrapped in when he came to earth. And now for the new movie, it is being re-imagined as an undergarment that almost all Kryptonians wear, armour can be added on top of it, so that essentially makes Superman's new suit a giant underwear. Don't get me wrong, as it is evident for all to see, the suit is amazing, completely in tune with the new 52 reboot of DC sans the red underwear, but the explanation the moviemakers are giving for the re-imaging can open it up for interpretation. One can also argue that the stretchy body suit serves as a kind of Kryptonian chain mail. But the creators of the movie are essentially calling it underwear. Hightech stretchy underwear, but underwear nonetheless. This in no way is going to even remotely diminish or hell even register on the legend that is Superman, but the movie makers need to be a little more clear when describing iconic pieces of clothing. Especially something as iconic as the Superman Suit and cape. On a related note, I also noticed that Zack Snyder switched Superman and Clark Kent's hairstyles, Superman doesn't have the signature curl on his forehead while Clark Kent does. Ever since the characters inception, the curl of hair on Superman's forehead has been as important to his identity as Clark Kent's spectacles. So, Zack Snyder, what gives?